Hello Mommies! Good news to all! For the month of May, Appebon Kid has launched their Mom’s Grocery Blowout Promo as a special mothers’ month treat to all mommies. The Mom’s Grocery Blowout Promo will give mothers a chance to save as much as Php10,000 on groceries! They are actually nearing their grand draw so hurry and join their blowout promo! Who wouldn't want a grocery blowout right? I treat grocery shopping as one of my stress-busters and as well as a ME-Time. So I'm excited about their promotion. Open to all Appebon Kid Facebook fans with ages 18 years old & above and residents of the Republic of the Philippines. Only those who have completed the registration will be able to answer the survey. Participant will gain one (1) raffle entry upon answering all the survey questions. Participant may only answer the survey once. Participant may earn one (1) bonus raffle entry when they "Share" the FB application after answering the survey. Maximum of one (1) bonus raffle entry per participant. Promo period runs from May 8, 2013 to June 6, 2013. I actually joined the promotion and hope I do win! 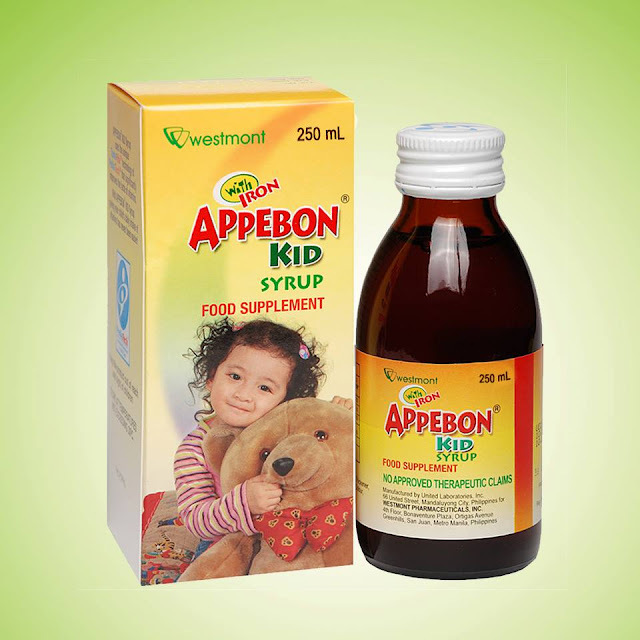 Appebon Kid is a daily supplement in delicious strawberry flavor that helps enhance children’s appetite. It contains Vitamin B Complex, Iron, and Lysine to help enhance children’s appetite.